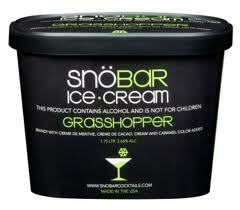 Every serving of this alcohol-infused ice cream contains as much liquor as an average 12 oz. beer and comes in flavors like Pink Squirrel (brandy and amaretto), Grasshopper (brandy and crème de menthe), and Brandy Alexander, (brandy and crème de cocoa.) Beyond ice cream, the company also has a line of popsicles for grownups, which taste like Cosmopolitans or Margaritas. Each variety of ice cream and ice pops contains natural ingredients combined with premium spirits. But as healthy as they try to be, you’ll probably still get a killer headache if you eat too many.